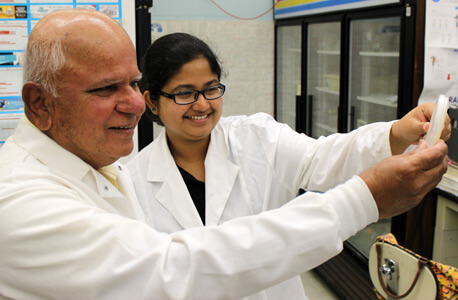 Rangaswamy “Nathan” Meganathan works with biology grad student Debarati Ghose. First, the good news: Five NIU professors this summer snagged three prestigious grants that total nearly $1 million. Now for the better news: the funding also provides cutting-edge research opportunities for NIU students, allowing them to work alongside top scientists in their disciplines. 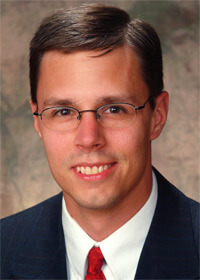 Chemistry professor Timothy Hagen is lead investigator on a project that will potentially involve dozens of student researchers. 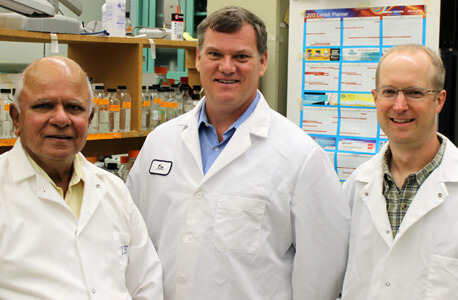 Hagen and NIU colleagues Rangaswamy “Nathan” Meganathan in biology and James Horn in chemistry won an Academic Research Enhancement Award of $356,000 over three years from the National Institute of Allergy and Infectious Diseases (NIAID), part of the National Institutes of Health. The funding will be used to design and test new chemical compounds that may lead to improved drugs and other treatments for infectious disease. Students will gain experience in such areas as medicinal chemistry, protein crystal structure analysis, drug design, enzymatic assays, biophysical characterization, analytical methods and antibacterial assays. Some will even get the opportunity to use the Advanced Photon Source at Argonne National Laboratory to obtain high resolution images of protein crystal structures. Two Research Rookies worked on the project before it was even funded, Hagen says. The two other recent grants were awarded to NIU scientists by the National Science Foundation (NSF). Mark Frank, a professor in the Department of Geology and Environmental Geosciences, will receive $271,000 over three years to conduct research on the processes responsible for the formation of copper-rich and gold-rich portions of the Earth. Experiments will be conducted at NIU, with high tech instruments to be used to determine the concentrations of copper and gold in various fluids and minerals over a wide range of temperatures and pressures. Funds from the project also will be used to support and train two graduate students and one undergraduate in economic geology, experimental geology thermodynamics and data interpretation. Zhili Xiao, a Board of Trustees professor of physics who also is serving as interim associate dean for research and graduate studies, has brought in more than $2 million in support of research projects at NIU. 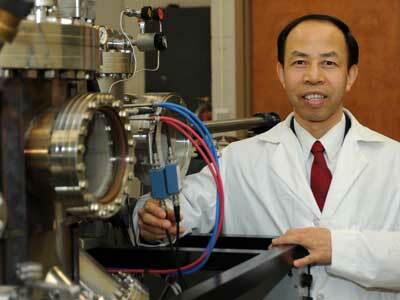 His latest $328,000 NSF grant will support his nanoscience research over the next three years. The project aims to advance understanding of artificial ices – fabricated substances that have the arrangement of their components following the ‘ice rule’ for the hydrogen atoms in crystalline water ice. Scientists are interested in the properties of these artificial ices, including the potential for revealing the mechanism of high temperature superconductivity. For decades, scientists have been on a quest to develop room-temperature superconductors, which could revolutionize the energy industry and lead to a wide array of applications, such as magnetically levitated superfast trains, powerful supercomputers and devices that now only exist in the imaginations of science fiction writers. Xiao’s research will provide a foundation for understanding and manipulating the new complex and collective effects that are expected in artificial ices. The NSF grant also will provide funding for training of two Ph.D. students. The students receive training on advanced nanofabrication tools, such as focused-ion-beam milling and electron-beam lithography. They fabricate superconductors with controlled shapes and dimensions and investigate their properties. The students also are trained in low-temperature physics and technologies and have the opportunities to participate in frontier research in materials sciences.